Can we boldly pursue God, inquiring, asking, even petitioning Him? From standing before a burning bush in confusion and fear, asking God to send someone else, we now find Moses fighting on behalf of the Israelites and knowing God intimately enough to be certain that He will respond in love. It is out of God’s good pleasure toward Moses and Moses’ desire for the people that God agrees to re-engage and be present with them as they make their way to the Promised Land. This level of intimacy speaks of God’s nature and His desire for relationship with us – that if we abide in Him we will be rewarded with an even deeper friendship with our Father. Next articleCosta Rica Missions trip 2018! 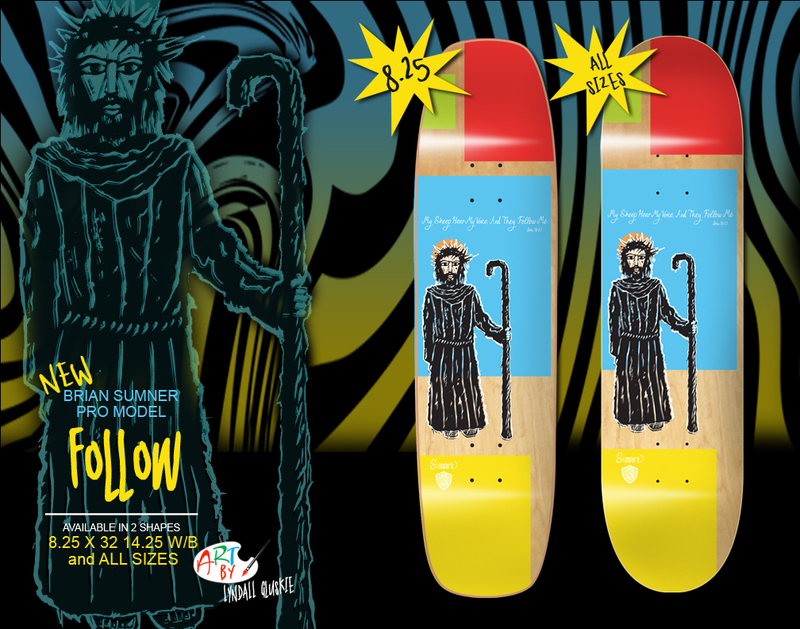 Newest “Follow” skate deck just landed in the shop. Check it out by clicking below.